March 20, 2019 -- If you’re trying to lose weight, your doctor can be a hindrance -- or, a new study found, a big help. Plus, if your doctor does give advice about losing weight, the type of advice matters. And if your doctor is empathetic about how hard it is to lose weight, you are likely to be more successful, the researchers found. "This study shows that doctors can be helpful in assisting their patients to lose weight, but they have to counsel their patients in a very specific way," says Gary Bennett, PhD, professor of psychology at Duke University and the study's senior author. "They can't just give generic advice." Instead, he found that the more specific the advice and recommendations, the more successful the weight loss. Empathy translated to pounds shed, too. "Patients respond to physicians who really show a lot of care and concern, and especially for something that is difficult like weight loss," he says. The study is published in the Journal of General Internal Medicine. While guidelines on obesity recommend that doctors and other health care professionals counsel patients to lose weight, research has shown that simply telling patients to lose weight, without support from a comprehensive weight loss program, is usually not effective, Bennett says. In the study, the researchers wanted to see if the type of counseling doctors gave patients in a comprehensive weight loss program called Track made a difference. The researchers also asked the participants how empathetic they felt their doctors were about their weight loss efforts, to see if that made a difference. Bennett's team invited 134 men and women, average age 51, with an average body mass index (BMI) of 36, which is considered obese, to participate in the Track program for a year. Track includes digital components and personal support. The researchers gave the people tailored goals, such as to walk 10,000 steps a day. The goals changed every 2 months. Participants also received educational materials and got weekly calls or texts asking about progress and providing reinforcement. Coaches, including dietitians and psychology graduate students, called the participants 18 times during the year for additional support. The 64 doctors or nurse practitioners in the study received notes in the electronic health records with reports on patients' progress, including weight and habit changes. During the study, participants reported whether their doctors or nurse practitioners gave them general weight loss advice or specific advice about the Track program. Researchers also checked to see if the professionals gave general weight loss advice or specific advice to patients during office visits. Overall, people in the study lost an average of 8.8 pounds over the 12 months. However, specific advice and empathy were linked with more weight loss, Bennett found. "People who received specific counseling lost 8.8 pounds more than those who received no counseling and almost 7 pounds more than those who received generic counseling [such as being told to lose weight, eat better]," he says. "People who reported their clinicians to be the most empathetic lost about 7 pounds more than those who were rated as least empathetic," he says. "What's happening here, we think, is that doctors can hold patients accountable," Bennett says, by making concrete suggestions such as taking the calls from the weight loss coaches. He says other research has shown, for instance, if a doctor recommends a specific medicine, ''a patient is likely to take it." And the empathy? "When providers signal to patients that weight loss is a very challenging condition to change, patients can rise to the occasion," Bennett says. "So many people need to lose weight." He suspected doctors who don't show empathy to their overweight patients may be unwittingly sending a message of shaming the patients. Neither the specific advice or showing empathy take much time, Bennett says. Sometimes, it's a matter of a few words. The results make sense to Katrina Hartog, a registered dietitian and clinical nutrition manager at Lenox Hill Hospital in New York. 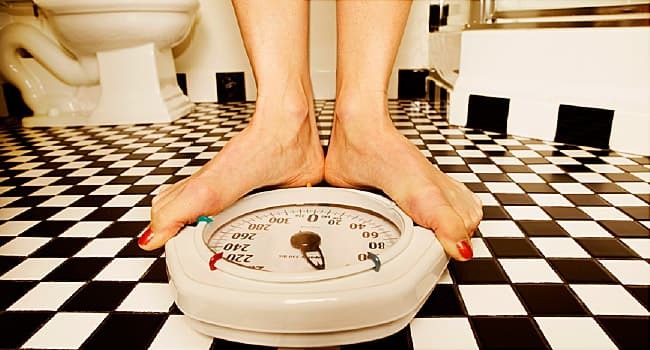 She reviewed the findings and often counsels patients at Lenox Hill about weight loss. Giving specific instructions makes people accountable, she says, and that is key. In her practice, she finds, more specific recommendations are better. Instead of telling people to eat less, she says, better to specify daily calorie goals, for instance. A little empathy from a health care professional goes a long way for a few reasons, she says. "If you can connect more with a person, it enhances the rapport and opens further dialogue. Then the patient feels more comfortable discussing their struggles or will tell you where they need more guidance." And if someone's doctor doesn't have specific weight loss advice? "They can always ask a physician for a referral to [a registered dietitian]," she says. There, the person can obtain the specific information the researchers found helpful, such as daily calorie intake. Bennett is on the advisory board for WW (formerly Weight Watchers), a member of the board of directors for Girl Trek and holds equity in Coeus Health, LLC. Gary Bennett, PhD, professor of psychology, Duke University, Durham, NC. The Journal of General Internal Medicine, online, March 20, 2019. Katrina Hartog, RD, MPH, clinical nutrition manager, Lenox Hill Hospital, New York.